We've got matte down pat in a convenient collection of your favorite on-trend hues in our Modern Mattes eye shadow palette. 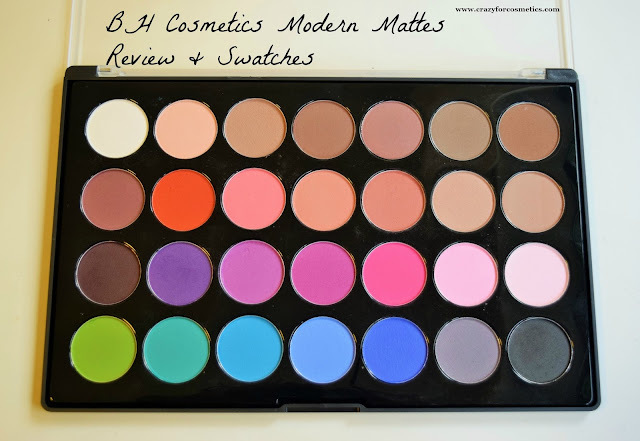 The well-edited mix of 28 super-pigmented, velvety colors features neutrals with a smattering of eye-popping brights for emphasis. Shadows glide on smoothly to highlight, line, and define, allowing you to create unlimited eye looks. Go subtle or smokey, bare or blazing, with the flick of a brush. 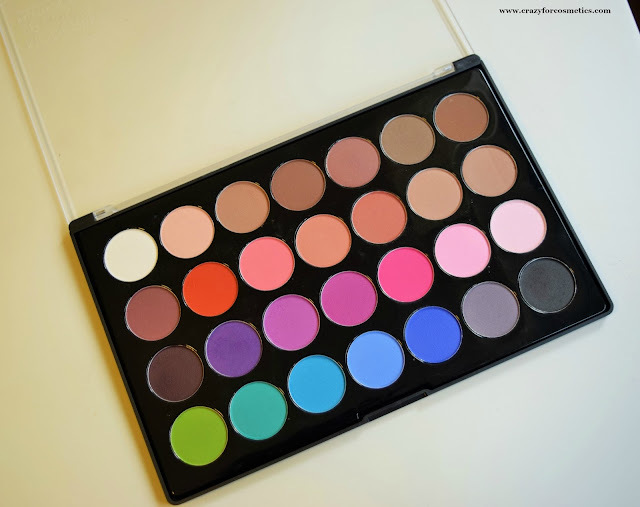 The palette comes in a very lightweight packaging with a transparent matte looking cover that enables us to view the colors. The shades come in 4 rows with each row having 7 colors ranging from the lightest to the darkest shade in the color spectrum. 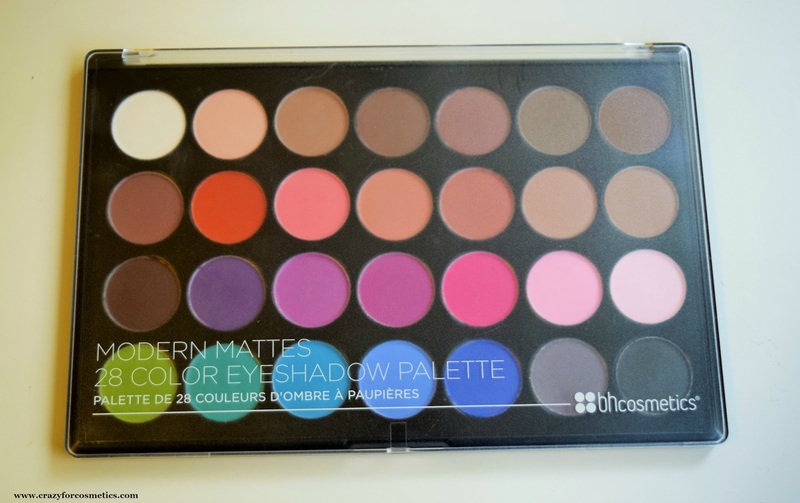 The colors are really well pigmented and most of the colors transfer well onto the eyelids even without a primer. All the shades are extremely smooth except the orange shade in the second row and the copper sulfate shade in the last row. The first row has some highlighting shades such as white, beige, neutral browns. All the shades except are decently pigmented and show up well on Indian skin as well. 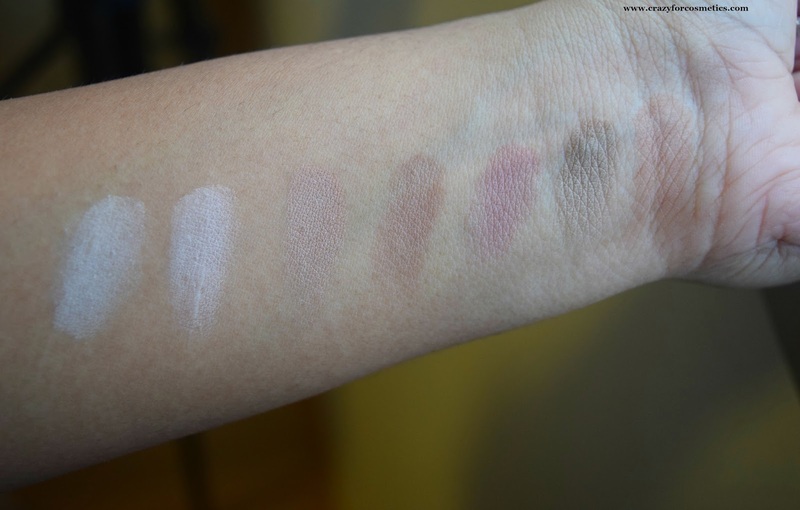 The above swatches are without primer and the shades transfer well on the skin. These shades can be used for highlighting the brow bone, for blending into the crease area etc. 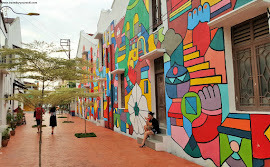 The second-row shades range from orange to peach and some neutral shades as well. The lighter shades do not transfer well onto the skin but the color can be built up slowly and might look more prominent on Asian Skin tones. 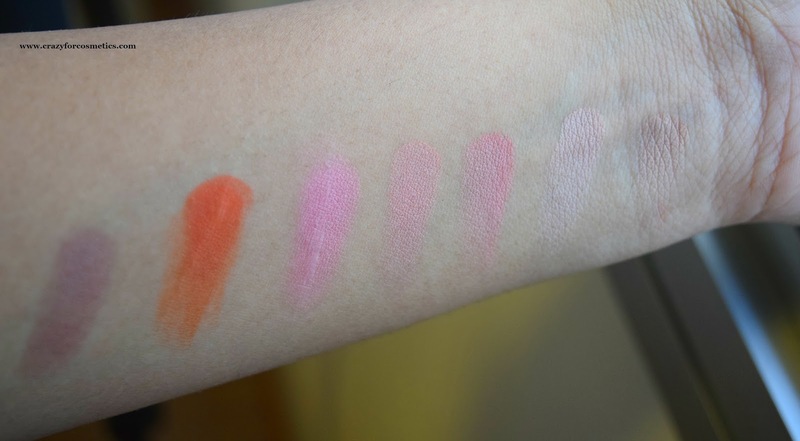 The orange shade is very chalky and does not feel smooth to touch and apply. 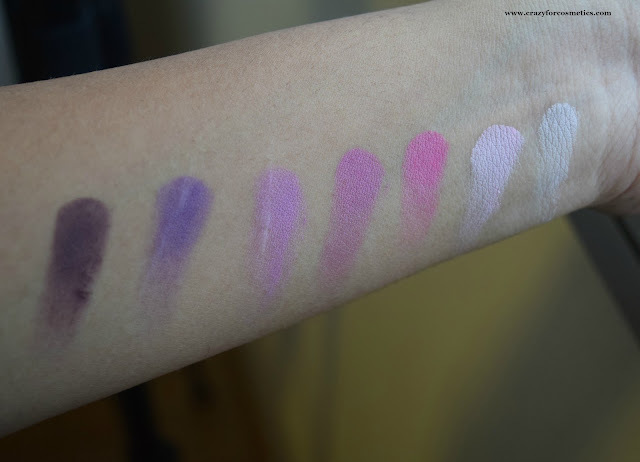 This row is one of my favorite in the whole palette because purple shades look pretty on Indian skin tones and this row has really well-pigmented colors.The first shade in this row is really well pigmented and looks nice on the outer 1/3 rd of the eye. 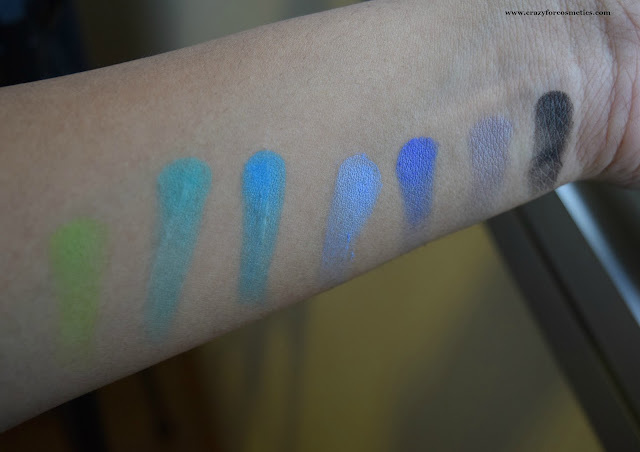 The last row has a lot of bright colors like green, different shades of blue and black which is essential to create that depth needed in eye makeup. 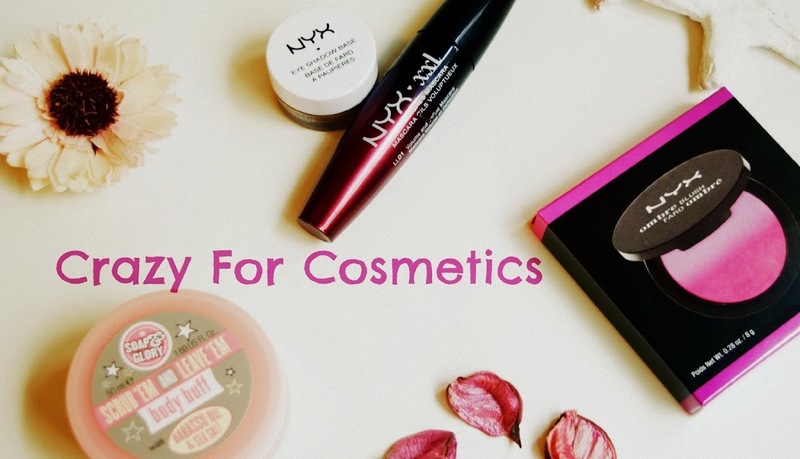 Most of these shades are well pigmented and transfer well to the skin even without a primer. The 3 rd blue shade is quite chalky and does not feel smooth to touch and apply. The shades are really versatile and they really feel soft to touch and apply. The shades are pretty decently pigmented and show well on the skin even without a primer. The shades can be used for various purposes such as highlighting, crease color, blending.The purple shades are well pigmented and look nice on Indian skin tone and the beige & brown shades will look good on Asian Skin tones.